Ubisoft has revealed the system requirements for the PC version of Assassin’s Creed Odyssey, and if you’ve played Origins it should be no surprise that things are looking pretty demanding. Recommended specs are pushing for some serious hardware power just to get to 30fps at 1080p. Ubisoft says “the PC version is not a port of the console versions of the game, but a tailored experience developed by a dedicated team at Ubisoft Kiev in close collaboration with Ubisoft Québec, the lead studio on Odyssey.” You can expect several features not present in the PlayStation and Xbox versions, including benchmark tools, toggleable dynamic resolution rendering, and uncapped frame rates. Here are those requirements in full. The Assassin’s Creed Odyssey release date is here away, so make sure you’ve got your hardware in order soon. 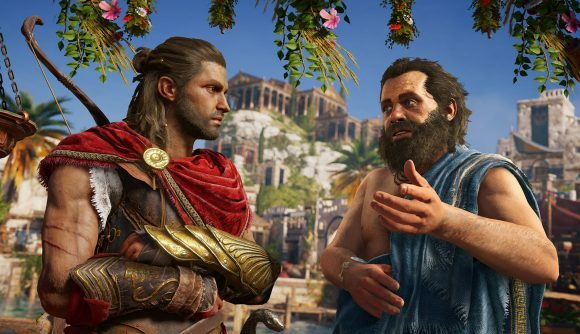 For our verdict on the game, check out our Assassin’s Creed Odyssey PC review, and our review roundup from the biggest critics. As far as we’re concerned, it’s a special adventure on an epic scale.